The temperature dropped to minus one in New Jersey last night. Your wood burning stove must really be devouring firewood. Winter is not even halfway over. Let us hope that you do not run out of wood before the area warms up. Here is an idea: You have trees that you have been meaning to remove. 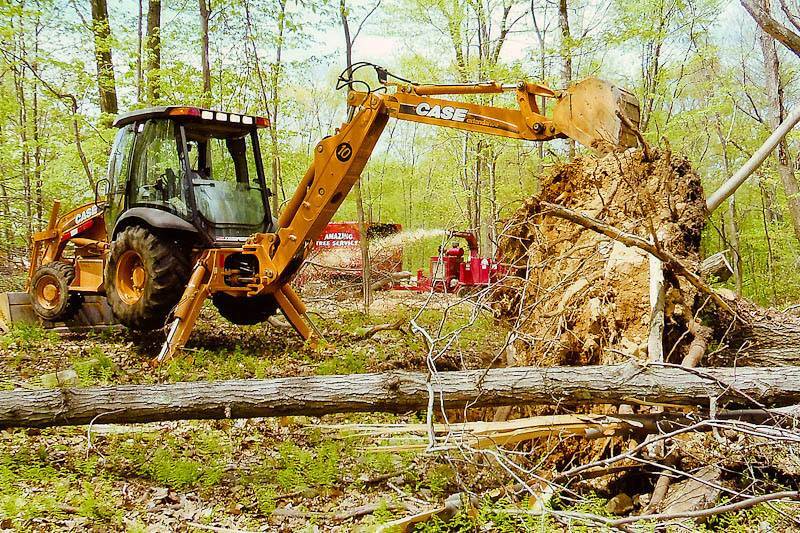 Amazing Tree Services works in tree removal in NJ. We can cut down all of your ugly dead trees and turn them into the firewood much needed to warm your homes. We are a professional and own all of our cranes. There is no waiting around for a crane to arrive from the crane rental company. Our cranes are always ready to remove trees, even when it is cold outside. There is no situation our cranes cannot handle. That is why we will offer our crane services for tasks that are not necessarily tree related. Sometimes a tree’s branches may grow to be unruly. Dead branches can endanger people and property. Overgrown branches can be good for privacy, but can also block your grass and other plants from much needed sunlight. For these purposes, we can trim and prune branches. Once we remove a tree, you will be left with a stump. You could leave it as is to rot and collect bugs, but we offer stump grinding services instead. We can thoroughly remove any evidence that you ever had a tree at all. Stump grinding can be dangerous and left the professionals. Many novices have lost fingers and limbs doing so. 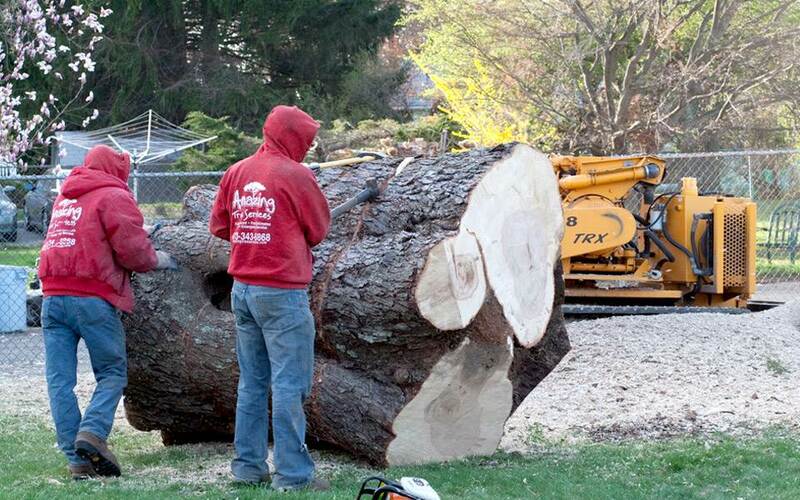 For more information on our NJ tree removal services, call Amazing Tree Services at 973-343-6868. Do you need to do something with all of your trees? You have got so many trees, you do not know what to do. You cannot just throw them away. Do not worry. Amazing Tree Services is a tree company in Little Falls NJ that can provide any tree services required for any tree or trees. Do you have trees lying all over the yard? All of these winter storms we have been having can break or uproot trees. They can be unruly and heavy. Our Little Falls NJ tree company can remove them. Maybe you want the wood, but not the tree. That is OK too. We can chop your tree into firewood if you would like to keep it. Sometimes a storm may damage a tree so that branches are left hanging. This can be dangerous to people, houses and vehicles. Our expert workers know their way around a chain saw and can trim it down to make everyone and everything safe. Maybe your oaks are just too lofty and soak up all the light. We offer a tree pruning services to keep your tree manageable. This includes crown cleaning, crown raising, canopy pruning and understory reduction. You might want to cut a tree down yourself. That is fine, but now you are left with an unsightly stump in your yard, rotting away and housing insects. We will finish the job for you and grind that stump into oblivion. It is a dangerous task, but our staff is skilled and take all the necessary precautions. For more information on our tree company in Little Falls NJ, call 973-343-6868. Are you looking for a tree company in Paterson? Amazing Tree Services will service all of your tree needs amazingly. Maybe a tree fell in your yard. Our tree company will remove it for you. Maybe the branches are too unruly, and you don’t want them to fall on your car. We will trim them for you. If the tree has dead branches, we will find them and prune them. Maybe your tree has already been removed, leaving a rotten termite-laden stump in your yard. We will grind that stump to oblivion. Our tree company in Paterson is fully insured and offers expert service and affordable prices. All services come with a full guarantee that customers will be 100% satisfied. we own all of our own trucks and cranes which allows us to keep prices down due to lack of rental fees. We will offer our cranes to customers for use in non-tree related matters. If you have a tree that is in need of removal, it is dangerous to keep around. It could be catastrophic if it falls on your home, vehicle, property or passersby. A professional with all of the necessary equipment and machinery should be contacted in order to properly remove the dead or dying tree. We also promise that, when finished, your yard will be entirely cleaned of any leftover debris. 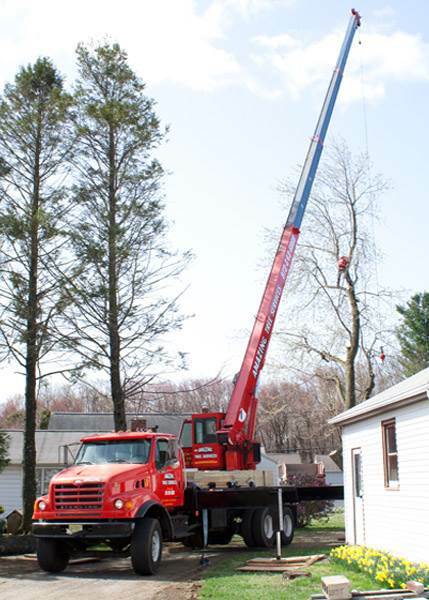 Amazing Tree Services is located in Dover and provides service throughout Morris, Passaic, and Essex County. For more information on our tree company in Paterson, call 973-343-6868. Last year, Hurricane Sandy made its way through New Jersey and left a trail of destruction in its wake. Flooding was a major concern for certain areas, but just as many parts of the state suffered more damage from strong wind gusts. Trees were uprooted and fell on power lines and houses, branches went through car windshields, and it was not even safe to leave your home. Although much of what happened was chance, there are preventative measures that can be taken. Amazing Tree Services is a tree company in Essex County, NJ that can help you avoid disaster in the future. Tree trimming and pruning are essential to maintain the health of the trees around your property. Weaknesses in a tree are not only sapping its vitality, but also posing a major risk for you. Rain, snow, or wind can all bring these down on your home, costing you anywhere from hundreds to thousands in repairs. In extreme cases, a dead tree may need to be removed entirely. Our tree company in Essex County is fully licensed and qualified in tree removal, with minimal intrusion on the surrounding area. We also offer stump grinding, following a removal. Do not wait until after an accident occurs to do something about tree damage to your property. Take a proactive approach with Amazing Tree Services. For more information on our tree company in Essex County, call us today at 973-343-6868 to speak with one of our tree service experts.